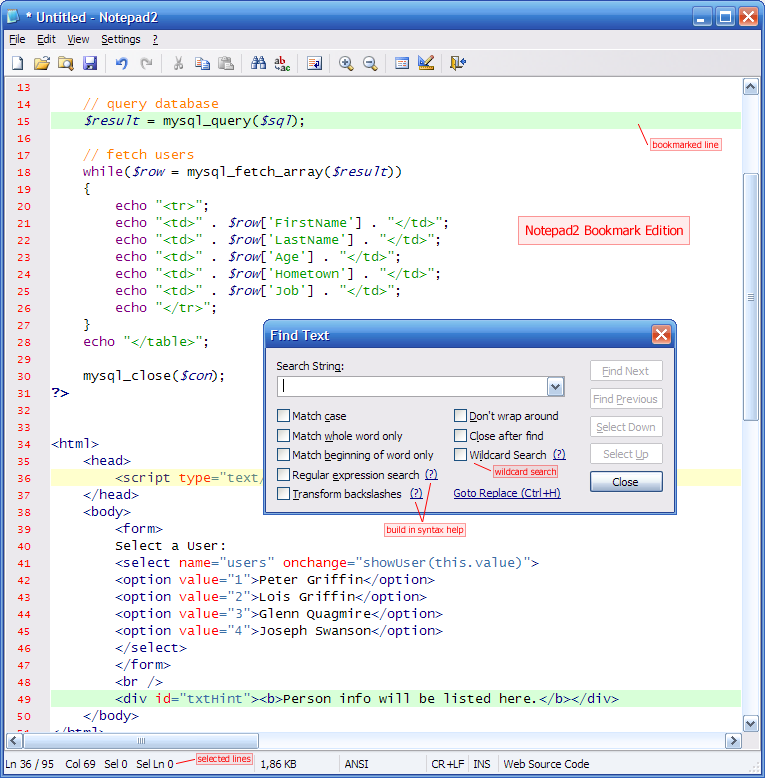 Notepad2 is free and open source Notepad-like text editor with syntax highlight. * The settings are not saved on exit. * The Escape key is configured to quit the program. Qweas is providing links to Notepad2 Bookmark Edition R4 (x86) 4.2.25 as a courtesy, and makes no representations regarding Notepad2 Bookmark Edition R4 (x86) or any other applications or any information related thereto. Any questions, complaints or claims regarding this application Notepad2 Bookmark Edition R4 (x86) 4.2.25 must be directed to the appropriate software vendor. You may click the publisher link of Notepad2 Bookmark Edition R4 (x86) on the top of this page to get more details about the vendor.